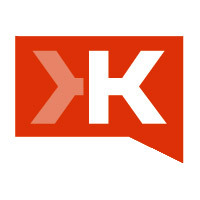 One of the more interesting (at least in my opinion) social startups in today’s market is Klout, who today announced an $8.5m round of funding from top-tier VCs Kleiner Perkins and Greycroft. While getting a ‘social’ startup funded isn’t particularly notable these days, Klout’s value proposition is relatively unique. The company’s ‘Klout scores’ are a means of helping to determine how much actual influence a particular person has online. Why is that needed? Because in these days of silly reciprocal ‘follow-you-follow-me’ and ‘I’ll build your ‘influence’ if you build mine’ schemes, companies increasingly need a way to determine who is simply gaming the system and whose opinions and utterances actually matter. While in theory companies would love to provide the best possible service to all customers, in reality they need to prioritize. While many companies have invested heavily in internal analytics to understand who their ‘most valuable’ customers are (with mixed results), there have been few if any accurate external tools to provide this capability. Social scoring fills that gap. In other words, a Klout score is analogous to a credit or FICO score – a number assigned to a person that allows an entity to make a decision much more rapidly and efficiently than they’d otherwise be able to. Many objections have already been raised – and not surprisingly many of those objections appear to be originating from social ‘experts’ and ‘gurus’ with high Twitter follower counts and not quite-so-high Klout scores. Many of those objections are based on Klout’s supposed ‘lack of transparency’ – but those objections miss the point. If Klout were ‘transparent’ in how it calculates its scores, then it would be vulnerable to the same type of gaming that has taken place with Twitter followers, et al. For the same reason that FICO scores and Google’s PageRank are ‘black boxes’, Klout scores must rely on hidden algorithms to be useful. The utilization of social scoring is still in very early days – and the usefulness of tools like Klout remains to be proven. As I’ve stated elsewhere, those tools and scores that prove most useful will be those that succeed – the cream will rise to the top. However, regardless of whether this market is ultimately dominated by Klout or competitors such as PeerIndex (whose very detailed and informational UI I really like), the trend is undeniable and inevitable. Expect to see many more integration deals with customer care and other CRM systems – such as the recently-announced deal with Assistly – and expect to hear much more about the true definition – and calculation – of influence in the coming year. Not surprised that Klout got funded. It proves that the influence measurement/marketing is puncturing the pain point for the industry. There is a need to measure influence across entire social web, not just twitter – Soovox.com ‘s Social IQ – it is a social influence metric application that measures a user’s ability to sway others’ opinions and actions across the entire social web – Facebook, Twitter, Linkedin, and other social bookmarking sites.